← Back from Spring Break! Its hidden nests and kind. Loosening like petals from bone sleep. In love with pencils and arithmetic. We had her hanged and cold, in our longing to be gone! In the Art Teacher’s arms. I like these lines, And what warmed in us was no book-learning,But the old mud blood murmuring,Loosening like petals from bone sleep.Thanks for sharing this new-to-me poem. I don't know this one, either, Tara. How beautiful, & I guess you can't share with the students, but it says it all, doesn't it? I love "her heartIn love with pencils and arithmetic." Guess that's what the students believe, & they're at least a little bit right! Hi, Tara. I picked out the same lines as Diane (though "mud blood" has come to mean something different since Harry Potter!) But that surprise at the end — wow. Beautiful poem!
" To catch all day glimpses and guesses of the greening woodlot,Its secrets and increases,Its hidden nests and kind. "This is exactly how I feel driving to work these days. I so relate to this -" So it went — one gorgeous day lost after anotherWhile we sat like captives and breathed the chalky airAnd the leaves thickened and birds calledFrom the edge of the world "But I will not hate! I love my job – just hate rushing through the spring with no time to linger. I guess that's what weekends are for? Beautiful lines…and who can't identify with every one of them?? Thanks for sharing. Oh my. I actually find the name "Miss Willow Bangs" the most vicious part. 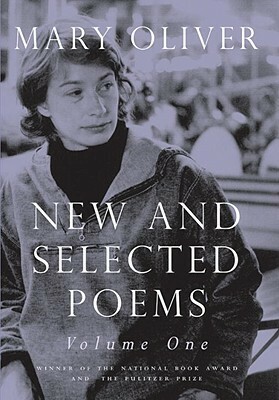 Tara–Like you, Mary Oliver is one of my favorites, and I'd never seen this poem. I love how the kids think their teacher's in love with pencils and books, and then she ends up out back kissing the art teacher! An absolutely perfect poem for spring! I've thought about joining (starting?) a Mary Oliver fan club. Why no t-shirts of her, yet? This poem made me think of Heidi, taking her kindergartners outside. And what a perfect ending! Whoa! That is a surprise ending, and I love it! Wow! This is a new one for me, though I like a lot of Mary Oliver. Another Mary Oliver fan, and I hadn't read this one either! Thanks so much for sharing. "Loosening like petals from bone sleep" – brilliant.And what a fantastic ending!Happy Spring, Tara.